With the summer selling season in full swing, door-knocking scams are on the rise. Companies like ADT are reporting nearly twice the number of consumer complaints versus the prior year as awareness increases of a major issue threatening the image of the security industry. Representatives from business and industry organizations are teaming together to help fight this major problem. 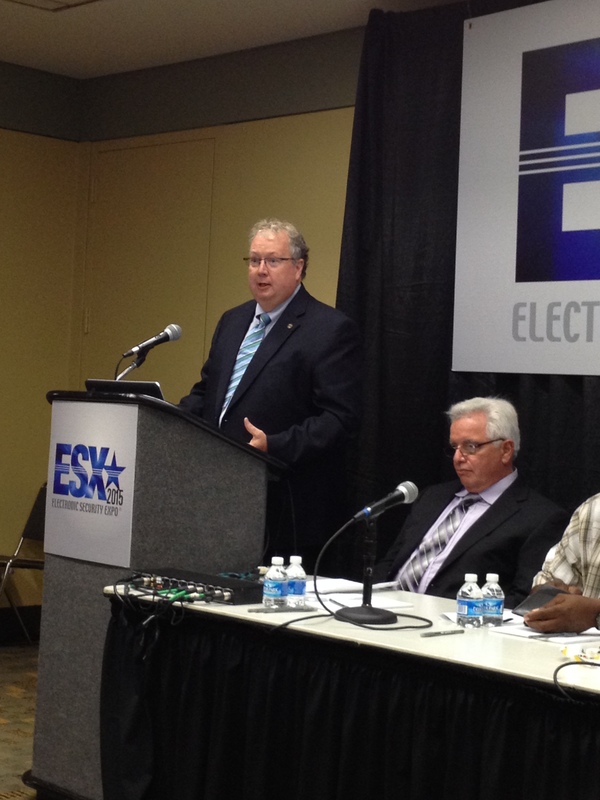 On June 23 at the Baltimore Convention Center, against the bustling backdrop of ESX 2015, CSAA participated in a news conference about Deceptive Sales Practices in the Alarm Industry. CSAA Executive Director Jay Hauhn was among those addressing members of the local and industry press on this sensitive topic. Baltimore resident Diane Pruitt described how she was recently solicited by a scammer, as did former Baltimore police officer Derrick Layton. CSAA’s Hauhn said that CSAA members are committed to trust between companies and customers. “We are not knocking door-knocking,” he said. “Door to door selling is a very effective tool, practiced for decades. But it must be done the right way. Companies must train their sales reps to follow the ESA Code of Ethical Conduct and take swift and actionable responsibility when they fail.” His words were echoed by ESA President Marshall Marinace. Casey Callaway of the Council of Better Business Bureaus closed the session with the following information to help members of the public thwart would-be scammers. Always check bbb.org first. Do your research and read customer reviews and complaints before you do business with anyone. Think of your safety first. Always remember that you don’t have to invite salespeople into your home. Ask for ID. Sales people should be able to provide proof that they actually work for the company they claim to represent, and you can also ask to see a sales license if your jurisdiction requires it. Read everything. Don’t default to trust and quickly sign contracts without fully understanding what you are agreeing to. Don’t give in to high-pressure sales tactics. “Must act now” offers and overly aggressive salespeople should raise a red flag.